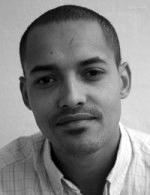 Carl Martin is an independent curator and writer. He is a regular contributor to the online art magazine Kunsten.nu and he has curated several art projects in public spaces. He is currently curating Alt_Cph15 an experimental fair for alternative art spaces. He is the co-curator and author of Object This Picture, a series of solo exhibitions, and co-author of the book Force Majeure. For the Arts & Globalization Conference he will put together two art salons on the subject of whiteness within the art context. Education: MA, Modern Culture and Cultural Dissemination, University of Copenhagen. Amalie is working as curator assistant at Råderum – mobile office of contemporary art and project coordinator at Astrid Noacks Atelier. 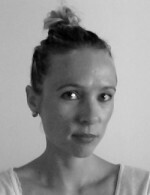 She has previously worked as a project manager at the Danish Arts Workshop and as a curatorial assistant at Galleri Image. 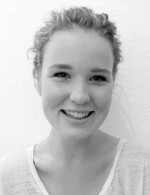 Amalie is also writing for the art magazines Kunsten.nu, Kunstkritikk and Litteratur.nu. Education: MA, Modern Culture and Cultural Dissemination, University of Copenhagen. 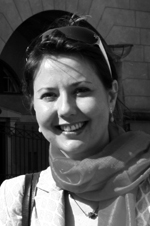 Rebekka is a BA student in Art History at the University of Copenhagen. She is also active as board member at Krabbesholm, folk high school (DK) educating within the areas of art, architecture and design. She previously worked as curator at KBH Kunsthal, Krabbesholm Højskole. She currently works as Art Educator and guide at The National Gallery in Copenhagen. Her main research interests are Arts and Audience Dialogue, Feminist and Queer theory. Sys is a Danish artist. She has painted, lived and exhibited in the U.S. since 2007. Originally trained as a Eurythmic teacher, she previously worked to incorporate music and movement into other forms of expressions, like visual art. In 2009 she put together a group of 15 international artists to collaborate on an art project and they have remained a working team since. 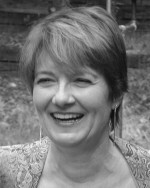 She holds a degree in Mneme Therapy and has previously worked with people with special needs in an art based therapy.